There is so much to like about German Sandwich Day, which falls on September 27, that we must face up to the fact that — try as we might — we could very well run out of superlatives to properly describe the celebration. But where, oh where, shall we begin? With an appetite, of course! And with the basics — which means a quick look at the inspiration for this observance, an item both beautiful and delicious in its simplicity: the Butterbrot — which means “butter bread” in German. The Butterbrot is just as it sounds: butter with bread. And it’s eaten at any time of day — most especially on German Sandwich Day. The English word "sandwich" (supposedly after John Montagu, the Fourth Earl of Sandwich) first appears in Edward Gibbon's journal. He later wrote "The History of the Decline and Fall of the Roman Empire." Peasants use thick pieces of stale bread called "trenchers" as edible plates. Jewish sage Hillel the Elder is said to have created an early form of the sandwich for Passover. We like to open German Sandwich Day with Butterbrot — that German cultural titan. Starting the celebration that way feels ceremonial. But we do sometimes like to make it a little more hefty. Here again, we start with the bread. Then we pick our favorite fillers: meats, cheeses, vegetables, sauerkraut, pickles, more cheese, potatoes, more meat, mustard, more pickles. We stack that thing up like Dagwood Bumstead and make a Butterbrot for the true gourmand. Guten Appetit! After building your perfect German sandwich, plop down on the couch and watch a classic German film. From the silent era ("The Cabinet of Dr. Caligari") to the modern day ("The Lives of Others") and everything in between, there's much greatness to choose from. Make a list of your family members' and friends' favorite ingredients, then surprise them with a sit-down soirée. As we've repeatedly emphasized, there's no limit to the combos you can create so that everyone can start to hone in on their favorite German sandwich. According to the Guinness World Records, the largest sandwich ever made weighed 5,440 pounds. It included 1,032 pounds of corned beef and 530 pounds of cheese. Open wide! A popular street food sandwich in Germany is the Döner, which originated in Turkey. 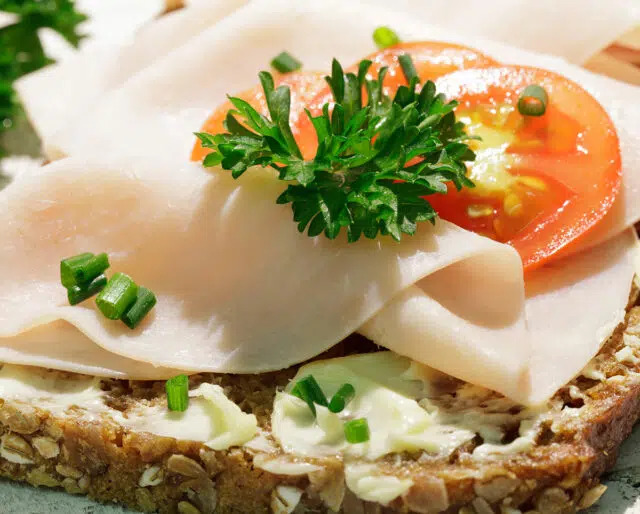 A popular sandwich in Northern Germany is the Fischbrötchen, which is typically assembled with herring, onions, pickles, horseradish sauce and ketchup. No matter how sophisticated your palate, you'll likely find the simple, classic — and timeless — Butterbrot is just as satisfying as anything more modern and/or complicated. We love this holiday because ... well, because we're hungry and because we've got what we need to make a Butterbrot right now. Pardon us while we Butter our Brot — and look for one other ingredient to top it off. People have been eating sandwiches for millennia — long before John Montagu (the fourth Earl of Sandwich) supposedly demanded the simple staple to help fill his belly during long hours at the gambling table. To partake in a German variety of this foodie fave is to participate in a human tradition that dates back to the earliest ages of civilization.